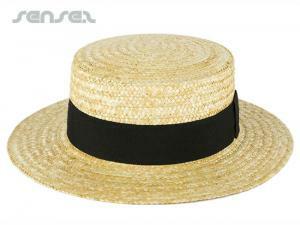 Nothing suitable in promotional straw hats? How about custom branded thongs, logo printed corporate eco friendly clothing or one of our promotional summer event tools? 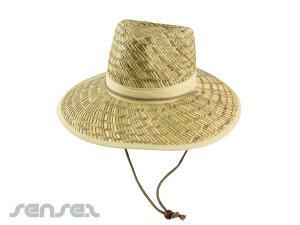 Promotional straw hats are great for cowboy, country promotions or trendy beach side promotions. 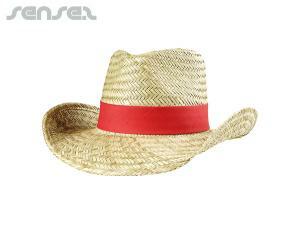 Custom brand our novelty promotional straw cowboy hats or sombreros with your own design and make an impact at the next outdoor event or beach promotion. Straw hats are trendy and very contemporary fashion accessory that can be ideal for youth marketing campaigns or for drink and alcohol brands, as well as beach related promotional messages. 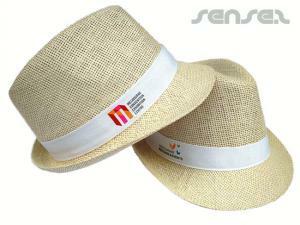 Promotional hats are always a welcome summer gift and straw hats are the stand out promo hat at the beach.